F.T. 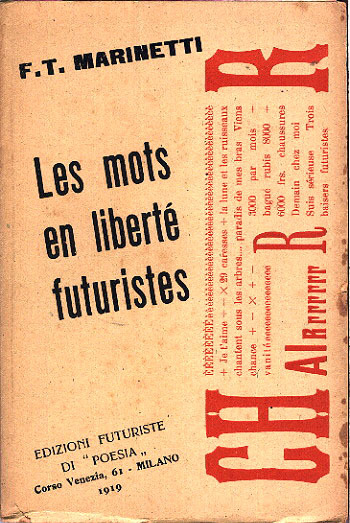 Marinetti, Les mots en liberté futuristes (The Futurist words-in-freedom), 1919. With this fundamental book whose subject was the so-called "words-in-freedom," F.T. 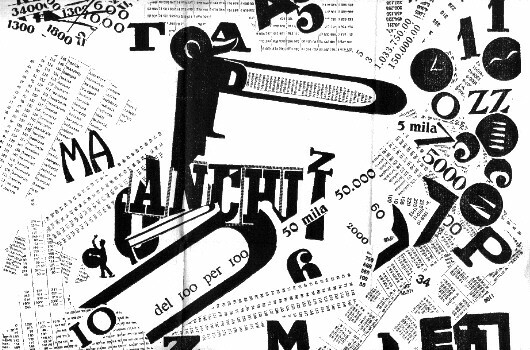 Marinetti summarized about 15 years of research in the field of the renewal of poetic and literary language. 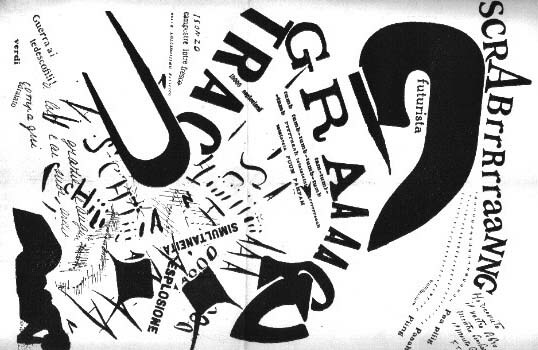 This book features several typographic compositions spread in fold-out pages where the author shows his great creativity in typographic composition by using typefaces of very different style and size, as well as hand-designed typefaces and calligraphic writings. The results are of striking, impressive, visual effects that have since influenced many writers and poets.